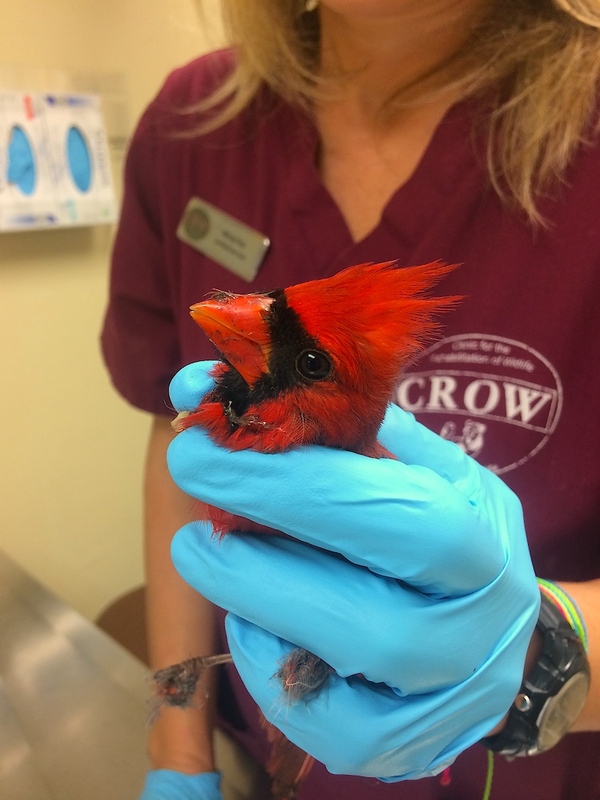 A northern cardinal arrived at CROW from Sanibel on January 11 after it was found stuck in a glue trap. Glue was found on the wings and the beak covering the nares (nose opening). The glue was removed with warm canola oil. The bird is currently receiving supportive care and is expected to be released soon. The northern cardinal successfully completed its rehabilitation at CROW and has been released. It was returned to the same location that it was found so it can return to its mate. Pairs mate for life, and stay together year-round.